During Black History Month I want to showcase and highlight my friends, colleagues, and people I look up to who are doing great things. 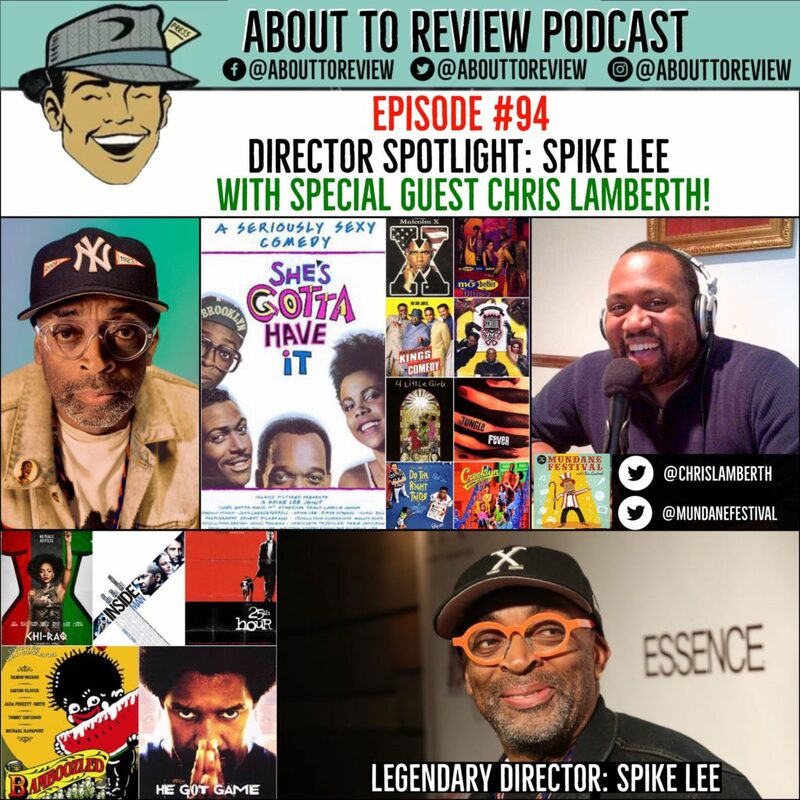 Actor/ comedian/ podcaster Chris Lamberth, from “The Mundane Festival” joined this episode to talk about the one and only Spike Lee! On this episode we tackled just a small sampling of Spike Lee’s massive catalog, and talked about movies from each decade starting with 1986’s “She’s Gotta Have It”, and taking us all the way to 2015’s “Chi-Raq”. 3m:45s – 26m:55s: Getting to know you: Chris Lamberth edition! Thank you so much to Chris for taking the time out of his busy schedule to Skype into the show and have this discussion about Spike Lee!